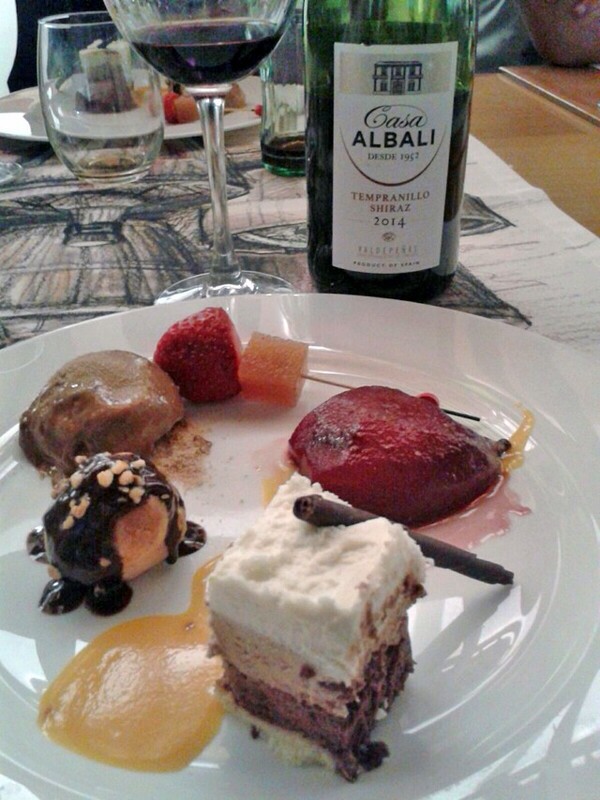 Don´t you drink wine with dessert? Do you think that cakes can only match sweet wines? Sorry to say that you are wrong. Although it is true that the sugar content of dessert makes it difficult, it is possible to choose the perfect wine. You only have to follow certain rules. When you have food and wine, wine must hightlight the characteristics of the food and viceversa. Temperature, acidity and intensity of flavours are the key to combine food and wine, but in the case of desserts, the key is the sugar of the food and wine. These are some tips for types of dessert and types of wine. Chocolate and red wine make a good pair. Dark chocolate remarks the flavours of wines made of cabernet sauvignon, tempranillo or merlot grapes (wines with matured red berries flavours). Fruit in sugar work also well with red oaked wines. On the other hand, the acidity of fruit salads can be enjoyed with chilled white wines. Cream or cakes are wonderful with sparkling dry wines or even red young wines that clean your mouth and make the food lighter. Ice cream is good with sweet wines, especially those wines made of monastrell grapes; or with semi- dry sparkling wines. If you prefer a healthy piece of fruit, some sweeter fruit like peaches, apricots, bananas…. can be paired with wines made of muscatel. With more citrus flavours like pineapple, strawberries, oranges… match with white wines made of sauvignon blanc or verdejo grapes. Now that you know some tips, you will also enjoy wine with desserts. Enjoy the sweetest moment.